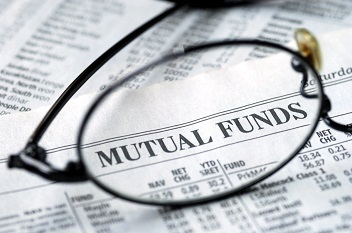 According to the Association of Mutual Funds in India (AMFI), Assets Under Management (AUM) of the Indian mutual fund industry increased 2.24% mom and 4.28% yoy to Rs23.37 lakh cr in January 2019. The upside reflects inflows in the liquid/money market and income categories. The mutual fund industry saw net inflows of Rs65,439cr in January 2019 as against net outflows of Rs136,951cr in December 2018. Net inflows from the Liquid/Money Market category came in at Rs58,637cr as against net outflows of Rs148,906cr in December 2018. The upside likely reflects investment by corporates to park short-term cash. Income category’s net inflows stood at Rs2,080cr in January 2019 as against net outflows of Rs3,407cr in December 2018. The category has seen outflows consistently for the past eight months. Inflows in Equity funds (including ELSS) fell for the third consecutive month and plunged 6.78% MoM to Rs6,158cr amid volatile capital markets and political uncertainty wherein the broader indices remained under pressure. This marked the lowest inflows in almost two years. Meanwhile, net outflows in the Balanced category came in Rs952cr as against net inflows of Rs45cr in December 2018. This is the first net outflow since May 2014 for the category. According to data from the Securities and Exchange Board of India (SEBI), the total folio count in January 2019 grew 0.83% MoM and 18.50% yoy to 8.10cr. A total of 0.07cr new folios were added during the month under review of which maximum additions were made to the Equity (including ELSS) category followed by Liquid/ Money Market category.